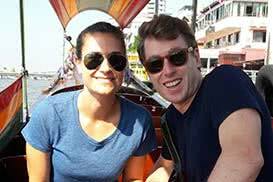 This 13-day journey can be challenging in parts, but the experience promises to be unforgettable. 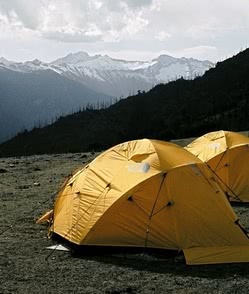 Travel deep into the valleys and high over mountain ridges to reach the magnificent Chomolhari Base Camp. 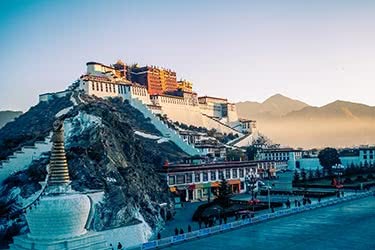 Every turn of this trek reveals more breathtaking scenery, with snow-capped peaks, glacial streams, prayer flags, stone chortens and sheep-dotted hills, all part of the landscape. 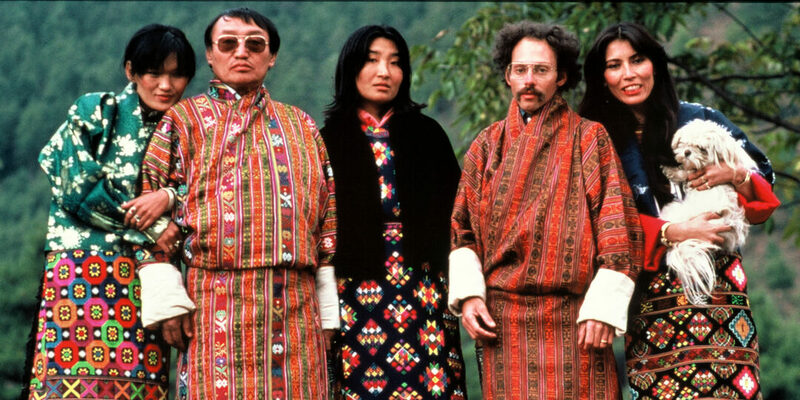 Meet yak herders, feel ice-cool winds whipping through valleys, and climb to heights of 15,000 feet - with time to explore the city sites of capital Thimphu as well. 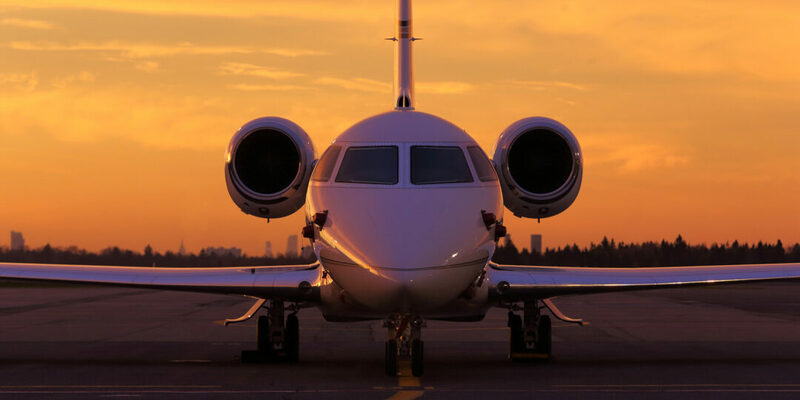 This unforgettable adventure begins in Paro, where you'll arrive from your international flight, passing over spectacular mountain terrain. 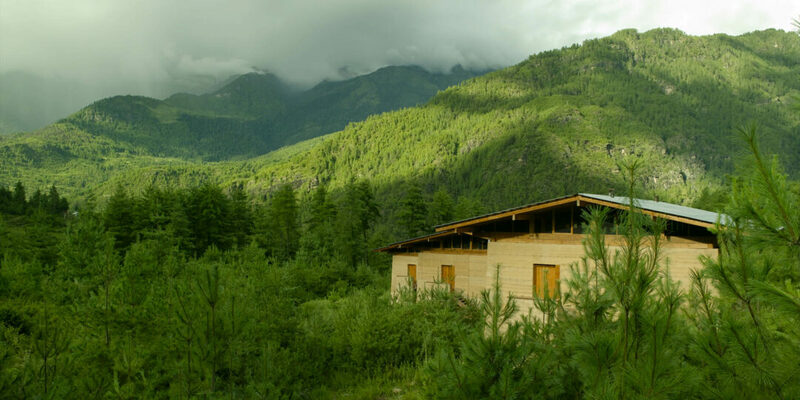 At 7,410 feet elevation, you can enjoy cool, clean air and 360-degree views of Himalayan peaks, including Mount Everest and the destination of your itinerary, Mount Chomolhari. After meeting your guide, it's lunchtime, after which you'll visit Ta Dzong – an old watch tower converted into the National Museum of Bhutan. 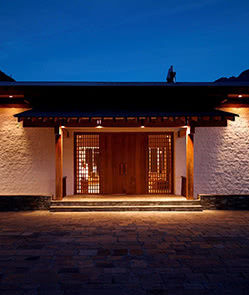 Enjoy a stroll through the streets of Paro, then head to your hotel – the luxurious Amankora Paro – for dinner and an orientation session. 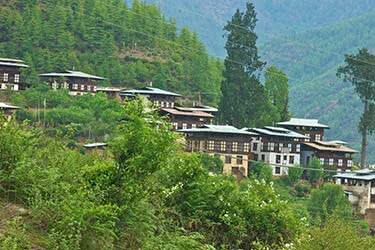 Today you have another day to explore the sights of Paro, visiting the 7th-century Kyichu Lhakhang Temple and enjoying lunch at a restaurant in town. 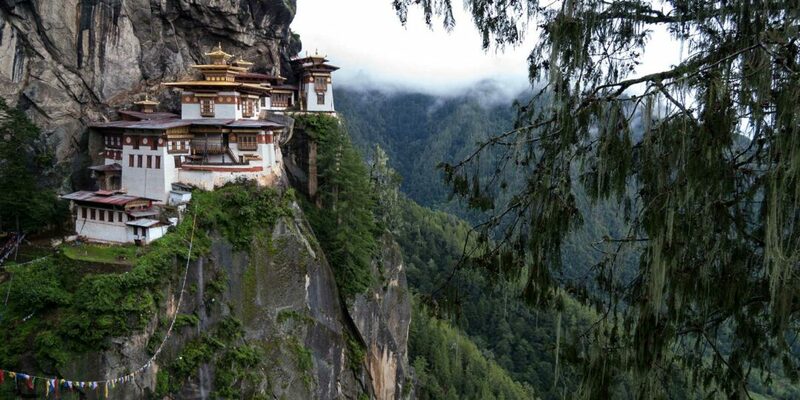 If there's time in the afternoon, you'll join a short hike to Dzongdrakha (at 8,100 ft). 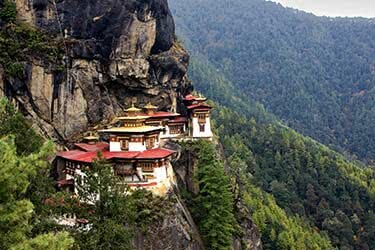 Situated on cliffs just above the Bondey Valley, Dzongdrakha is a small cluster of farm houses and temples set in tranquil surrounds. 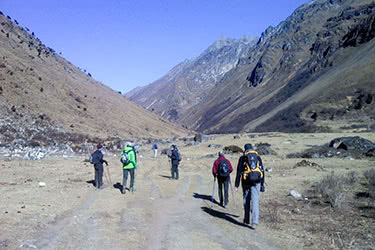 This hike is easy to moderate and acts as a good acclimating exercise for the coming trek. It has a beautiful view of the Bondey Valley below. 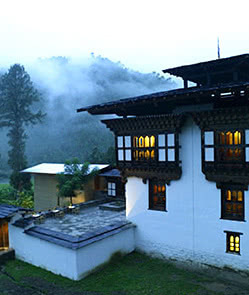 The evening is free for you to explore downtown Paro. 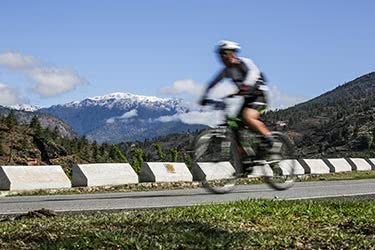 This morning you will drive up the Pa Chu to Drukyel (8,202 ft), the ruined dzong (fortress) which once defended the valley from Tibetan invasion. 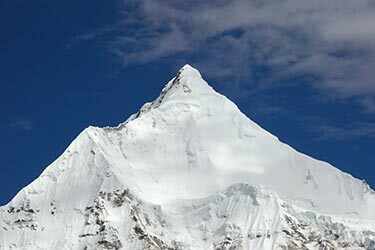 Mount Chomolhari can be seen reaching skyward beyond the dzong. 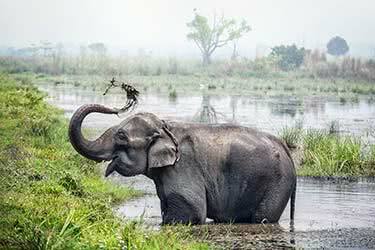 It is here the road ends and your trek begins, following the river through a narrow valley of maize crops and rice fields dotted with ornate farmhouses to the first camp in a grove of pine trees at Shana (9,482 ft), in the confluence of two valleys. Start the day with magnificent mountain views and prepare for a challenging 11.8-mile trek across uneven terrain. Today's hike heads gradually up the river valley, passing farms and crisscrossing the Paro Chu river. River rocks and an undulating path present a challenge, but the views make up for it as you follow the trail up towards Soi Thangthanka (11,745 ft). Tonight, you set up camp in a meadow near a purpose-built stone shelter. 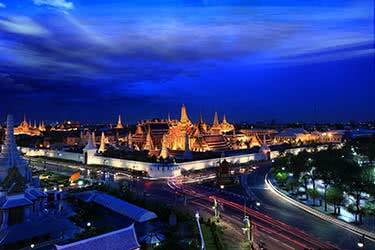 Weather permitting you will enjoy breathtaking views of Chomolhari from here. Today you'll pass a military post as the valley begins to widen and the trail climbs to a beautiful plateau with a small chorten. The day's 10-mile trek then turns into a brief climb ending at another plateau where you'll stop for lunch. After lunch, you'll break through the tree line and pass through a spectacular valley lined with snow peaks and waterfalls. 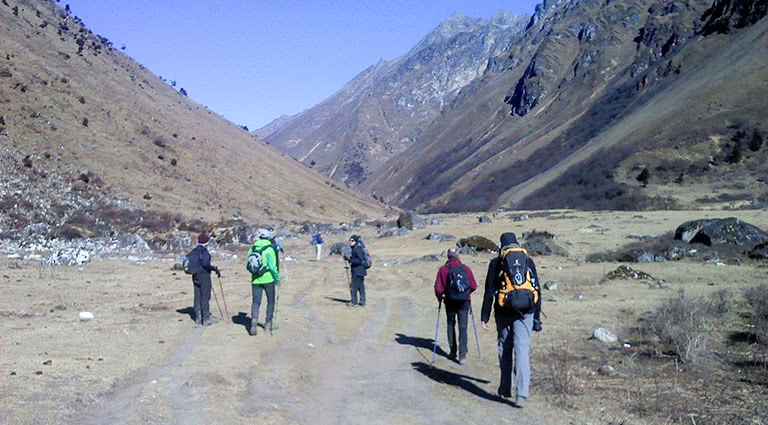 Say ‘hi’ to the locals in the small village of Jangothang and trek onwards to your camp at the base of an ancient fortress near Chomolhari Base Camp (13,288 ft). Wake up to views of Chomolhari presiding over you at the end of the valley and enjoy a rest day in this picturesque location. You have the chance to venture out on an independent hike from this base, or just enjoy a leisurely day of recuperation. 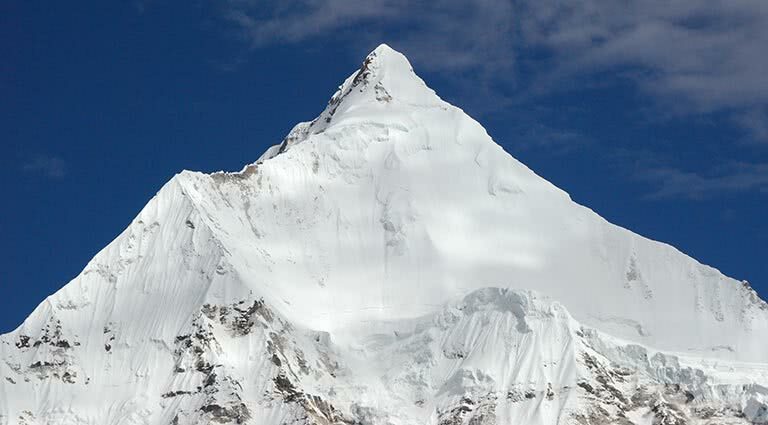 Chomolhari and its subsidiary are directly west, with Jichu Drake to the north, and unclimbed summits and ridges to the east. 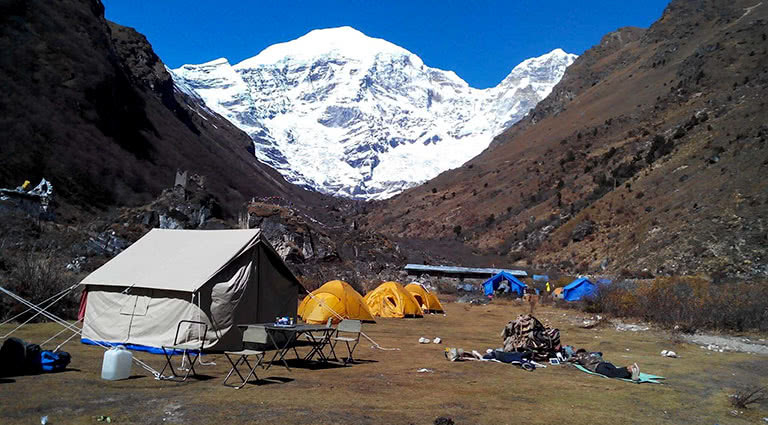 Spend another night at base camp in the shadow of majestic Mount Chomolhari. It's just a short hike of 4 miles today to Tso Phu (14,100 ft), climbing up further still to the lakes, enjoying a view of snow-capped Jitchu Drake and Chomolhari along the way. 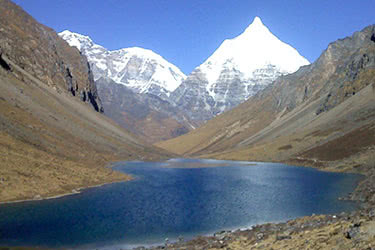 Today's walk includes a steep climb of 45 minutes with spectacular views until you reach the top of the plateau after which the first lake will come into view. This walk affords breathtaking views of the three major peaks rising above the valley, a broad stream on the right and snow covered peaks in the distance. Set up camp between lakes near the tents of yak herders. 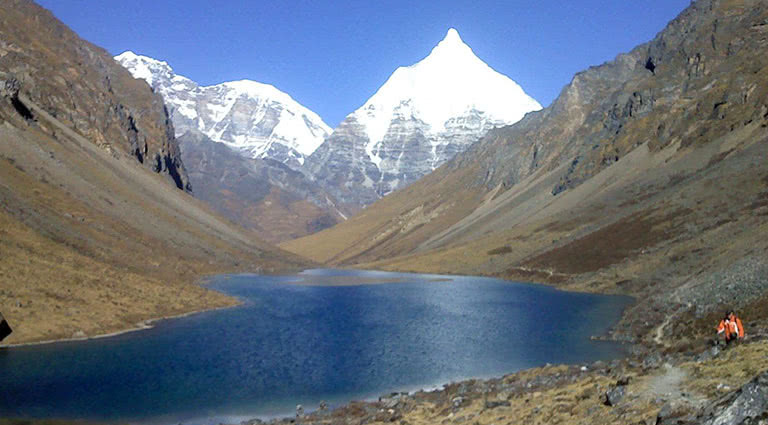 Today you'll cross the highest point of the trek, the Bang Tue La (pass) at 15,600 feet elevation. You'll get an early start for this 8.5-mile journey, to allow enough time to reach camp and to get over the pass in the morning when the weather is still good. Today you'll pass a glacial stream, a small lake, and herds of blue sheep perched high on the mountain sides. 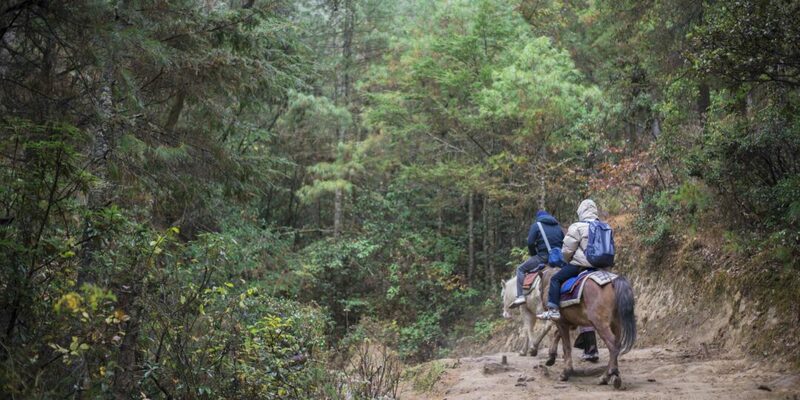 You'll pass through the valley of Soi Yaksa, past more yak herders' camps and steep grazing fields. Tonight, you'll camp on the valley floor beside a stream. 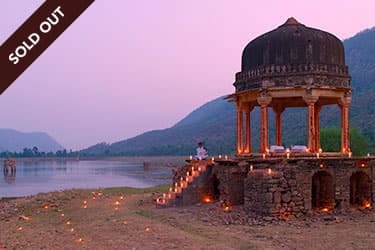 Start the day with a brisk 600-foot climb rounding ridges, crossing streams and passing small chortens. 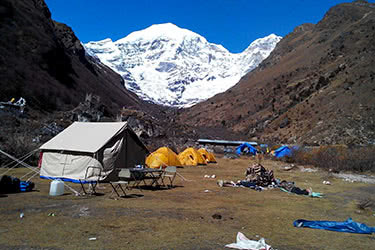 Today you'll traverse Takalung La pass (14,400 ft). From there, you'll see the large valley of Thang Bue and your campsite for the night. In clear weather, the view from the pass is spectacular, with Mount Chomolhari and Jitchu Drake rising over the mountain range. You'll be able to see terrain you covered in the previous days such as the Soi Yaksa Valley. Set up camp in Thang Bue - a wide valley filled with yak herder camps with their yaks, plus horses and goats. Today, the trail climbs steeply from your campsite, scaling rhododendron-covered mountainside. You'll enjoy stunning views hiking along a ridge trail that drops away on both sides to deep valley floors. Along the way, you'll glimpse the peak of Drake Gang before embarking on one of the most challenging parts of the trek - the 4,500-foot descent down a switchback trail. 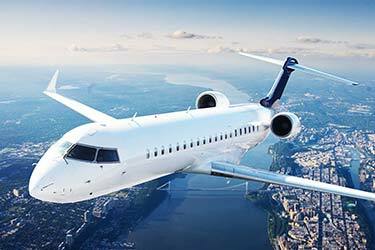 As you descend, you'll see a change in vegetation from alpine forests with dwarf rhododendrons to lush pine forests with huge old growth trees to forests of pine and oak. 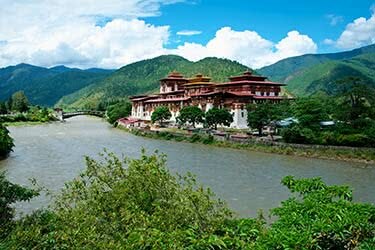 For the remaining journey from Shana to Drukyel Dzong, you'll enjoy the comparatively flat walk to where the road begins and your trek ends. 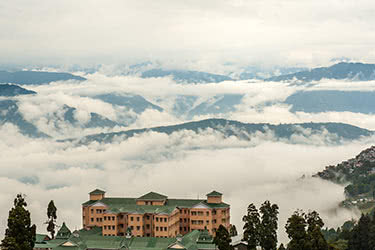 After a hearty meal there, drive to Thimphu, Bhutan's capital. 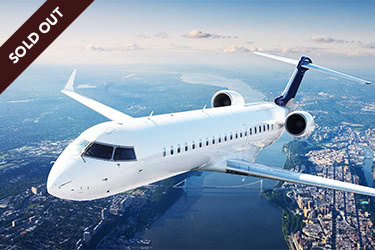 After checking into your hotel - we recommend the luxurious Amankora Thimphu or the Taj Tashi - you can visit to the markets and the Taschicho Dzong (the Fortress of the Glorious Religion). 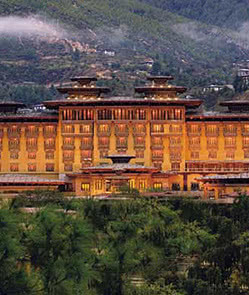 Today you'll spend time exploring the delightful Thimphu. First visit the Memorial Chorten, built by the royal grandmother, Ashi Phuntsho Choden, in 1974. 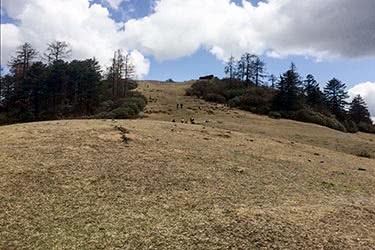 Next, it's off to the Takin Preserve - a wide green space dedicated to keeping Bhutan's national animal, the adorable cow-like takin. 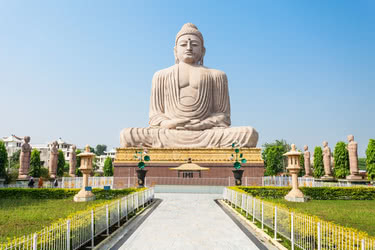 Today you'll also get the chance to visit Zilukha Nunnery, the School for Traditional Arts and Crafts, and the Heritage Museum. 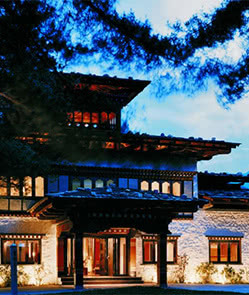 In the evening, head back to your luxury Thimphu hotel. 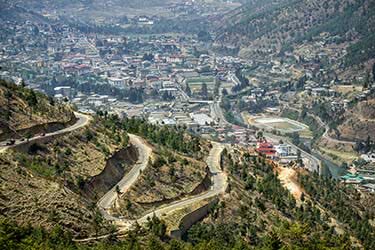 After enjoying a gourmet cooked breakfast at your hotel - complete with stunning Himalayan views - it's time to say goodbye to Thimphu. 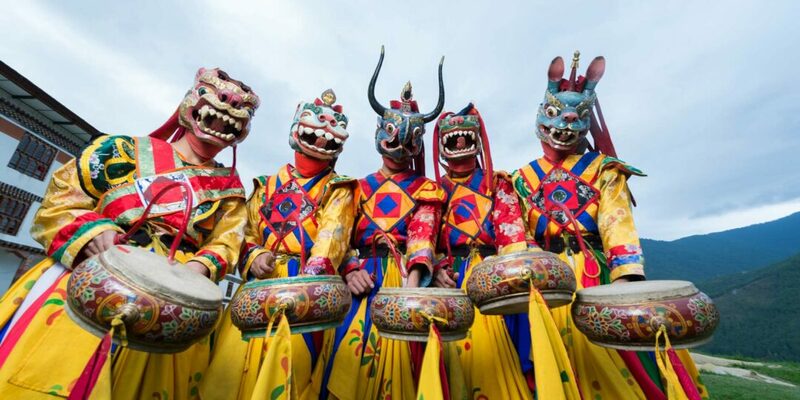 Today you'll head back to Paro, where you'll part ways with your guide and driver and continue on your travels.